This story originally appeared on Trahant Reports and is republished here with permission. Just about a week ago it was clear that Cathy McMorris Rodger was headed to the Interior Department. Nope. It was a headfake. President-elect Donald Trump has instead picked Montana Rep. Ryan Zinke for the post. “The truth is Ryan does know the value of public lands, he does know, to an extent, I don’t know how deep, the issues of Indian Country,” said Sen. Jon Tester at the Montana Budget and Policy Center’s Legislative Summit Wednesday. 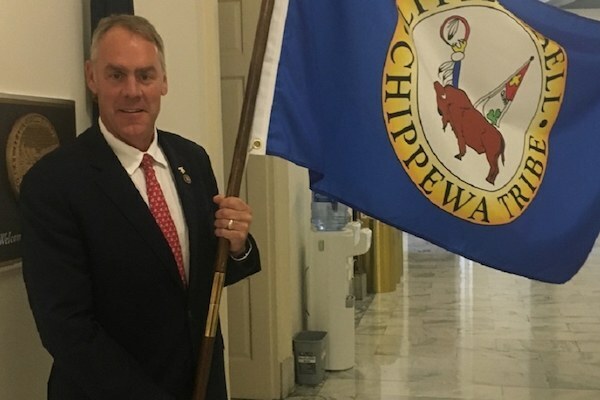 He said the Senate confirmation hearing process will be useful in getting Rep. Zinke on record explaining his views on such things as the government’s Trust Responsibility to tribal nations. Since September, Rep. Ryan Zinke has approved more than $1 million in grants for Montana Tribes. At a congressional debate in Frazer, on the Assiniboine Sioux Tribal Nation, Zinke said he had been adopted as an Assiniboine. He said he supports tribes and sovereignty. “I don’t think anyone has worked harder trying to get Blackfeet Water Compact done ... I have been out here not because I am your congressman, but because I care.” He said he has been to people’s homes, met with tribal councils, and visited powwows. If Zinke is confirmed by the Senate there would be a special election for his House seat. And Denise Juneau? She said Wednesday night: “I am looking forward to doors opening, figuring out if I want to take advantage of that, and bringing people with me.” That’s a far better answer than a yes or no.